A barn at the family homestead of Jonas Gingrich, one of six Amish barns in Easton granted a property tax abatement by the Aroostook County Commissioners in the summer of 2016, can be seen recently in Easton. In January 2017, the Aroostook County Superior Court sided with the town of Easton and ruled that the tax abatements should not have been granted. 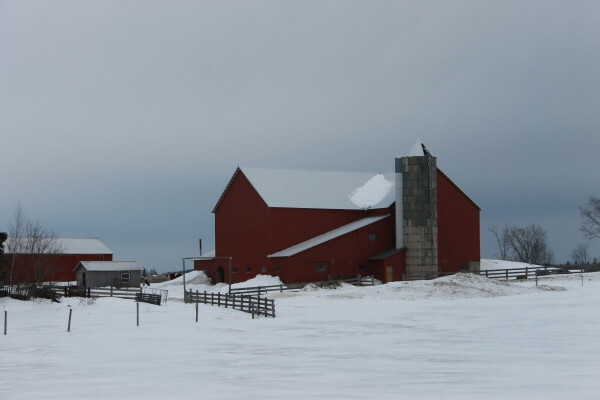 A Superior Court justice has overturned a decision by Aroostook County commissioners that had granted tax abatements to Amish families in Easton who said their barns were overassessed in a 2015 property tax revaluation. After Easton finished its first property tax revaluation in 23 years — increasing everyone’s taxes in the town as a result — six Amish families with new barns appealed to the Aroostook County commissioners last summer. The families argued that their recently built barns were overvalued by the town, with each “assessed like a castle,” despite being relatively low-cost structures built by Amish community members and without electricity or plumbing. The assessed value of the barns ranged from $93,391 to $129,501, with four of the barns valued at more than $100,000. Last July, commissioners agreed with the families and granted them abatements that reduced the town’s assessments on the barns by about 25 percent. With a tax rate of $17.40 per $1,000 of valuation in Easton, the abatements saved each family between $400 and $600 in property taxes. In August, Easton filed an appeal with the Aroostook County Superior Court, which on Jan. 3 ruled in the town’s favor and overturned the county commissioners’ decision. The Amish families “produced evidence of the unique and unusual circumstances employed to erect these buildings with minimal cost, but that by itself is not evidence of just value or fair market value,” Stewart wrote. Members of the Amish families, who represented themselves in the matter, could not be reached for comment, but Aroostook County Administrator Doug Beaulieu said the decision would not be appealed. “We’re not going to appeal it. The legal rationale is sound,” Beaulieu said Friday. He also pointed out, however, that the justice indicated three or four times in his ruling that the Amish barns likely were assessed too high. The families just didn’t meet their burden of proof and couldn’t articulate well enough what the assessed values should be, Beaulieu said. The county administrator still felt that the town of Easton should work with the families to reduce their tax burden on the barns. Easton Town Manager Jim Gardner said the decision is a win for the town’s effort to tax all businesses and residents at a fair value, and that he will be reaching out to the Amish families to outline the next steps for collecting the taxes. “The county commissioners’ decision was driving a wedge in our community,” Gardner said, referring to some residents being concerned that the Amish were getting an unfair tax break in the aftermath of a revaluation that was financially painful for many. Before the state-mandated revaluation, many properties were assessed at less than 50 percent of their current market value — meaning that many people saw their property taxes double after the revaluation, including Gardner’s own home, he said. Gardner added that he’s optimistic about residents and the town government retaining strong relations with the Easton Amish community. The town’s Amish businesses include eight dairy farms supplying Organic Valley, a small lumber mill, a cabin and shed maker, a general store and four furniture makers. Aroostook Republican & News writer Joshua Archer contributed to this report.